Publishes short, critical reviews of virtually every hardcover trade book published in the United States for young people. Combines and cross-references over 165,000 author names, including pseudonyms and variant names, and listings for over 215,000 titles from Children's Literature Review, Contemporary Literary Criticism, Literature Criticism from 1400-1800, Nineteenth-Century Literature Criticism, Poetry Criticism, Short Story Criticism, and Twentieth-Century Criticism, into one easily searchable source. Examines the lives and works of authors and illustrators for children and young adults. 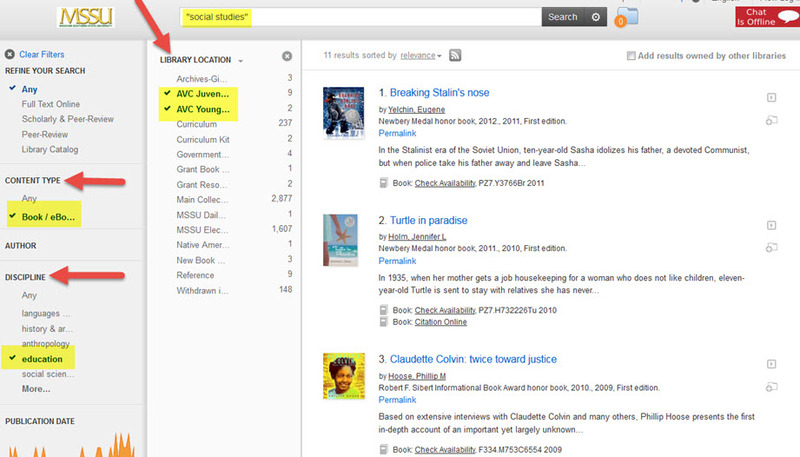 The best way to limit your search results to a list of award books in our collection is to do a TITLE search by the name of the award book collection. 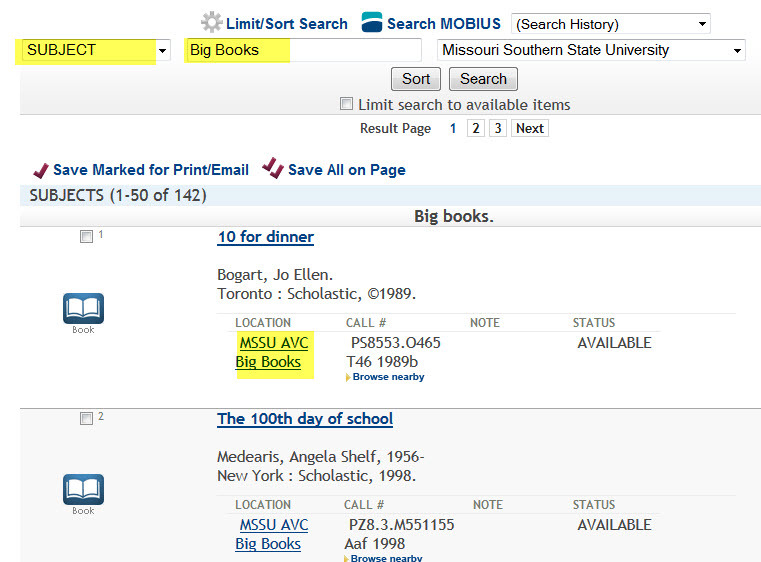 Broaden your search to include all juvenile, young adult, big books and curriculum kits in our collection by using our Summon search engine and results page filters as seen in the example below. The following award winning books can be found on the fourth floor of the library. The Audio Visual Center/Government Documents desk is also located on this floor and is staffed most hours the library is open. The friendly staff at this help desk will be happy to assist anyone with locating these award winning titles as well as items from any of the other collections located on the fourth floor. The Newbery Medal was named for eighteenth-century British bookseller John Newbery. It is awarded annually by the Association for Library Service to Children, a division of the American Library Association, to the author of the most distinguished contribution to American literature for children. For a complete list of past winners, visit Newbery Medal and Honor Books, 1922-present. The Caldecott Medal was named in honor of nineteenth-century English illustrator Randolph Caldecott. It is awarded annually by the Association for Library Service to Children, a division of the American Library Association, to the artist of the most distinguished American picture book for children. For a complete list of past winners, visit Caldecott Medal Winners and Honor Books, 1938-present. The purpose of the Mark Twain Award is to provide children of Missouri with a recommended reading list of literature that will enrich their lives. The winner of the Mark Twain Readers Award is selected annually by students in grades four through six with support from the Missouri Association of School Librarians (MASL). To learn more about the award and to see lists of winners and nominees, visit Mark Twain Readers Winners. The Missouri Building Block Picture Book Award, administered by the Youth Services Community of Interest of MLA, is presented annually to the author and illustrator of the picture book voted most popular by preschool children in Missouri’s public libraries. For a complete list of past winners, visit, Missouri Building Block Award page.